Diane Gail (Pike) Hall beloved friend, aunt, sister, spouse, mother, companion, business partner and virtual "right hand" was born to James Winford and Imogene Foy (Marshall) Pike September 14, 1947 on the top floor of the NBC Bank building (then Altus clinic/hospital). She was preceded in death by brothers James Marshall Pike and John Franklin Pike and her parents, grandparents and several cousins. She was baptized in the Clinton Church of Christ and later joined the Purcell and the Altus First Baptist Churches. She departed this life on January 24, 2019 at Baptist Integris Hospital in Oklahoma City into the loving arms of her savior the living Lord Jesus Christ. She suffered greatly from greatly from Osteoarthritis, diabetics neuropathy and was an over fifteen year cancer survivor. She attended 11 years public school grades in Clinton, Oklahoma before being graduated from Thomas High School in 1965. She married Gary Lynn Hall of Clinton June19, 1966 in the Choir Room of First Baptist Church in Clinton. She attended and was graduated from Southwestern State with a B.S. in Elementary Education and Library Science in 1971. She studied accounting at WOSC and upholstery and computers at Southwest Tech. She was a maternal figure for friends and family. To this union was born one son. She loved her church family, relatives and adopted stray dogs and cats. She was a really generous, kind and sweet soul. As a teen she worked in a Clinton beauty shop and later several restaurants in Altus, Clinton, Thomas and Lexington. She was a cook and waitress for the Altus' Best Western, Jim's Sandwich Shop and United Grocery Snack Bar. 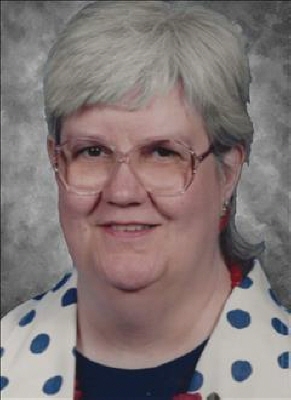 She served as church cook and financial clerk in Purcell's and Altus' First Baptist Churches and served as a librarian. She was active in the Women's Missionary Union in Altus and Purcell. She was granted a Paul Harris Fellowship by Rotary International. She was know for her origami, Macrame and pottery skills. She operated a ceramic shop with arts and crafts in Purcell. She was an excellent painter. She was an avid reader frequently reading over 20 books a month. She is survived by her husband Gary of 52 years, one son James Gym Arlen (wife Jessica Foster) Hall of Lawton; brother Steve (and Sharon Kay Witt) Pike of Tipton; nieces: Kimberly Kay Hall Digby of Oklahoma City, Melissa Hall Huber of Oklahoma City and nephews Raymond Dale Hall of Okarche, Ryan Hall of Oklahoma City and several cousins. The Hall family will receive friends Friday February 1, 2019 from 6:00 - 8:00 P.M. at Lowell - Tims Funeral Home, Altus, Oklahoma. A memorial service will be 2:00 P.M. Saturday February 2, 2019 at Lowell -Tims Funeral Home Chapel in Altus, Oklahoma. To send flowers or a remembrance gift to the family of Diane Gail Hall, please visit our Tribute Store. "Email Address" would like to share the life celebration of Diane Gail Hall. Click on the "link" to go to share a favorite memory or leave a condolence message for the family.